$25 Gift Card included for future purchase. $25.00 of free extras with purchase! 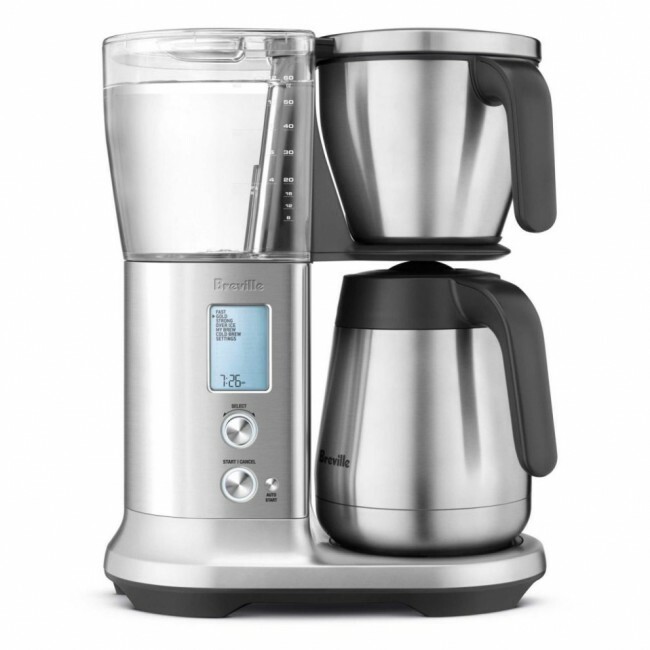 Breville's Precision Brewer offers all of the options you need to brew the coffee you love—from the comfort of your kitchen. A competent coffee maker, the Precision Brewer takes the place of a drawer-full of brew methods, including a cold brewer, single cup coffee maker, and manual pour over system. Packed with accessories that expand its base functionality, this Tribute Edition includes an adapter and spray head to use with a V60 or Kalita pour over, as well as filter compatibility with large basket, #4 cone, and steel filters. This gives you the unique flexibility to brew between 8 and 60 ounces of drip coffee, or 20 ounces of cold brew concentrate. Adjustable programming gives you control over flow rate and temperature for each brew method, as well as auto-on programming for those too-early mornings. Adjustability not your thing? 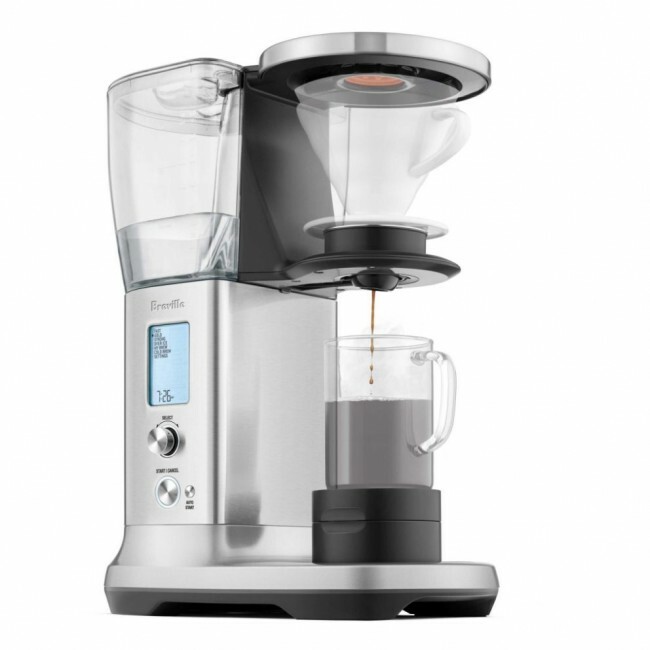 The Precision Brewer comes with a locked Gold Cup option certified by the SCA to maintain the ideal cup of drip coffee. SCG Exclusive - You can only find this Brewer's Cup Tribute Edition at Seattle Coffee Gear! Automatic Pour Over - Each Precision Brewer includes an adapter and restricted spray head for your Kalita or Hario pour over cone. Gold Cup Rated - The Precision Brewer's 'Gold Cup' setting comes with endorsement from the SCAA for ideal time and temperature for drip coffee brewing. Brew Methods - Other brew methods include settings for quick or custom brewing, cold brewing, and ice brewing. Brew Sizes - Included basket and filter options make it easy to brew smaller batches as well as full 60-oz. pots. Auto Programming - The Precision Brewer is one of the few SCAA-rated machines to come with auto-on programming for brewing on those early mornings. Good Coffee - Base settings make great coffee, especially the aptly named 'gold cup' setting. Brew Options - The Precision Brewer is an excellent choice for someone who wants to try brew methods like pour over or cold brew without investing in a secondary setup. Capacity for a Crowd - With a max brew size of 60-ounces, the Precision Brewer has one of the largest capacities of any home brewer we've tested. Many Menus - Sometimes, the last thing you need is an extra early-morning screen to scroll through. Tall - The Precision Brewer is anything but low-profile, it stands nearly 16 inches tall. Single cup and small-volume brewing does best with the cone basket, while large capacity benefits from flat-bottom filters. Can SCG Repair? Yes; only as covered by SCG warranty. Read more about our repair services. Note: Please register your product with Breville for warranty support. Rinse brew basket and carafe after every use. Use filtered water, or descale every 2-3 months as needed. Wipe down case with a soft microfiber cloth as needed.